MD Paving Pros is your resource for all paving needs for both commercial paving and residential paving. 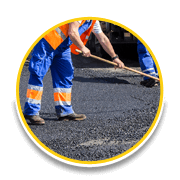 Serving Baltimore, MD with the highest quality paving services, we also extend our services throughout Washington DC, Maryland, and Northern Virginia. Including Rockville, Frederick, Hagerstown, Silver Spring, Bethesda, Fairfax and many other areas in the DMV. Asphalt Paths & Walkways Paving for both residential and commercial properties. Asphalt Patchwork for small businesses and homes. Line Striping for parking lots, parking garages, or anywhere else you need line painting! Brick work for patios, pool decks or any kind of brick design your heart desires. Asphalt Basketball Courts for schools, parks, private residences and more! Asphalt overlay is a great way to increase the lifespan of your driveway and repair cracks or crumbling. Pavement overlays improve the smoothness of your driveway and add structural support. Asphalt overlay for driveways is the most economical option for improving the quality of your driveway. We also provide asphalt cleaner to extend the life of your driveway. Get a free quote today! Concrete curbs are important for parking lots and roadways because they increase the lifespan of the pavement. MD Paving Pros can upgrade, replace, repair or install new curbs on your existing driveway or roadway. Our experienced professionals will give you a detailed estimate for quality and timely completion of your project. We have all types of gravel & pebbles for mulch replacement, walkways, patios, and driveways. 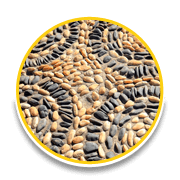 Our experienced installers have worked with all kinds of gravel and pebbles including pea gravels, marble mulch, checkerboard gardens, large pebbles, coarse gravel, slate chips, step sculpting with pebbles, and soft pebble paths. Call us today for a free quote on your gravel or pebble project. Heated driveways are extremely valuable during the winter months when there can be thin sheets of ice covering paved areas. With a heated driveway, you won’t have to worry about slipping when walking to the car, or losing control of your vehicle on black ice. Heated driveways are especially beneficial for older people or people with disabilities who may not be able to clear their driveways of snow and ice. We have successfully installed many heated driveways and hear rave reviews from customers who no longer need to shovel or salt their driveway. The striping professionals and road designers at MD Paving Pros are committed to making your parking lots and roadways safe and beautiful. Having your line striping for parking lots and roadways done with the highest level of professionalism is extremely important. Have one of our estimators come to your location and get a free quote on striping and road design. 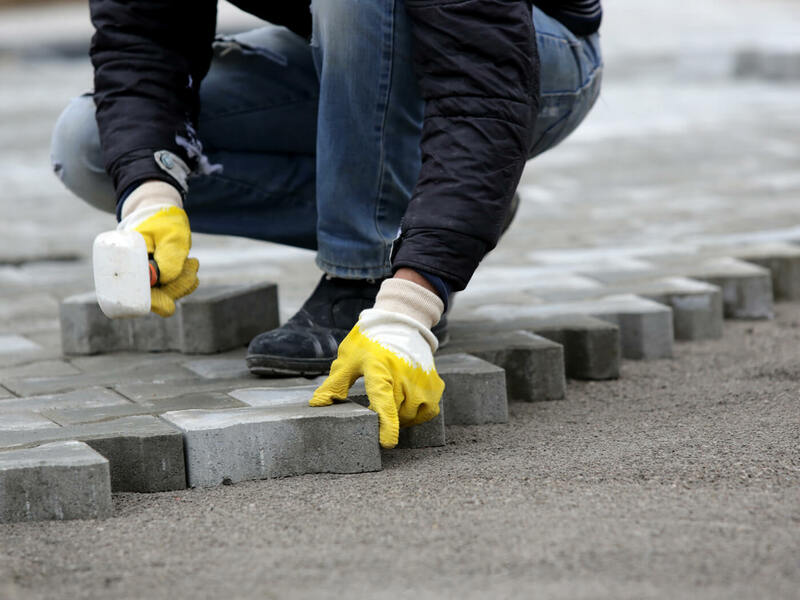 Seal coating any paved area should be done for preventative maintenance to prevent cracks or small holes in the driveway from creating structural issues. As soon as you see any cracks begin to appear in your driveway or parking lot, is a good idea to get a quote for seal coating to prevent further damage. Your patio is an outdoor living space. Whether it is concrete, flagstone, brick, or any other material, we can make your existing or new patio a beautiful space for enjoying the outdoors. Call us today and we will come for a free on-site visit. Here we will recommend the best design and material for your new patio, determine what needs to be done to repair your existing patio, and provide a timeline. Our team has installed hundreds of sidewalk projects. 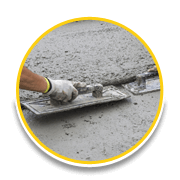 We have years of experience in grading and concrete installation for sidewalks as well. Get your sidewalk project done within budget, professionally, and on time. Call us now to schedule a site visit and estimate. We have a full fleet of plow trucks and are available to manage the snow removal of your parking lot, street, neighborhood or driveway. The best way to make sure you are covered when the snow comes is to contact us before winter even starts. Give us a call any time of year to talk about snow removal contracting and keep yourself, your family, or your employees safe. Stamped concrete is an awesome way to dress up your patio, walkway, or driveway. Pavers are also a great option for adding style to your projects. Our installers have years of experience in stamped concrete projects and stone paver projects. Have questions about what is the right solution for your home or business? Call us today. Whenever you need garage door installation done correctly, make sure you hire the professionals. Safety and security are key – so make sure whoever does it for you is licensed and insured.